Although to be honest, almost everyone else here on my course at Osaka is older than me, so I still feel like a baby. I don't know about you guys, but lately I'm following so many cool, polished, professional bloggers online... the difference between me and them is so huge it's almost laughable. Still I wanna be a cool grown up one day! There's a real mix of things, but here are my goals for being 20-something. Make a Sakubun style guide! Osaka Uni organised a Shamisen teacher come in and give us a talk about the Shamisen, which is a Japanese instrument a little similar to the guitar. It has three strings (hence the name 三味線）and is played with a large pick. The group performed songs for us, and demonstrated a lion dance, as well as teaching us a party game that Geisha play, called Tora Tora (It was a little like rock, paper scissors). And then some of us got to try and play it! I thought I'd have a little bit of an edge, as I've played the guitar for a few years, but to be honest the playing styles were so different it wasn't much of a help. In fact it probably made my playing worse. It just goes to show, take all the opportunities you can, right? We had a day off from Uni, so on a whim I decided I wanted to go to Uji. And it turns out it's a lovely place to visit! Valentine's Day in Japan is pretty different to back home in the UK. Of course, it's equally commercialised, but whereas in the UK, both guys and girls give valentines presents, in Japan it's just the girls who give chocolate. Guys reciprocate with presents on White day (March 14th). I pestered Marcus to give me some fancy macarons. There are different types of chocolate: Honmei Choco- which is the one you give to someone you like. Giri Choco or 'obligation chocolate' and Tomo choco- which is chocolate you give to your friends. Making chocolate was surprisingly easy and fun :) you can get the chocolate mould and supplies from anywhere, even the supermarket or the 100yen store. So, it's spring, and that obviously means that I want a whole new wardrobe. I already did a Shoes Wishlist, because shoes. Anyway, after spending far too long poring over Vivi and other Jfashion magazines, here's my take on the spring trends, and things on my wishlist. Obviously trainers are huge everywhere right now, and the're pretty big here too. Also lately I've been seeing western 'Sports brands' and their logos pretty much everywhere- SPINNS and WEGO have been stocking a lot of this type of thing in their used section. Look out for brands like Champion, Adidas and Fila. SPINNS has a whole Champion page on their webstore. Both short and long. Although I'm not sure I can pull these off, I'm definitely seeing them in the shops like SPINNS again now it's spring. Looks like fluffy things are still good (yesss). I'm definitely eyeing up some fluffy sandals, like these beauties from WEGO. These ones from WEGO are just too adorable, plus they have the cut out heart shapes I'll mention later. Bucket hats are still in the shops, but I feel like now I've finally bought mine the trend has peaked already. Double trend from SPINNS: Sports and bucket hat. I'm seeing the ss15 button up a line skirt reappear (good, because I still wanna wear mine), this one's from SPINNS. Denim jackets, shorts, ripped jeans. Although this might just be a permanent fixture. I finally found my dream denim jacket used at SPINNS, though! I'll post a spring haul soon. Not sure I could pull these off though, but these ones from GU sure look great! Again, this trend might have peaked, but they are still everywhere. This rolls around every summer, but I'd be lying if I said I didn't want these earrings from WEGO. What do you think of these trends? Are there any you like? P.s. None of the pictures in this post are mine, they are from each shop's website. I've put a link to the original source of each picture. If anyone asks why my tights are ripped, its because rock and roll, ok? Osaka Uni have been so generous with trips lately. We went on a study trip to Asuka-Mura in Nara Prefecture. Lately it seems people are talking a little more about self care and mental health on the Internet, which is so great. It's definitely a conversation which has been overdue. However "self care" isn't always cute and fluffy. It's not all about £20 candles and lush bath bombs. Not that there's anything wrong with £20 candles per se, hey, I would if I could. (Also lush baths are definitely the best thing ever). But there's some more basic stuff before that- the most important type of "self care"- and I thought I'd elaborate a little on that today. Some of it might seem basic, but if this kind of stuff gets out of control, your life feels so much more out of control. Keeping your space clean makes you feel better (although it depends how you like it, but there is definitely a difference between "creative clutter" and "things are rotting in a corner and I don't have any clean dishes left"). Seriously, no one wants to be without heat or electricity, or -heaven forbid- internet, but this can happen easily if you don't keep on top of bills. If you're at school, uni or work, and you're not feeling great, it's easy to get yourself into a mess with multiple looming deadlines. Go to a tutor or superior, explain your situation and try and negotiate an extension. Go for a walk, pick up groceries, anything. Just get some exercise and sunlight. If you like cooking, great, cook yourself a good meal. Even if you don't, good nutrition can help your mood, so go cook yourself a meal. Exercise has been proven to lift your mood. Science, people. Try and see if you can borrow a neighbour's dog and take it for a walk- you never know, you could really help someone out. 8 hours of sleep is recommended. Sleep is one of the easiest things to neglect, but it's so important! If you can get a sense of control back, you might feel a lot better. Even cleaning a small area of your house, posting that letter you've been meaning to or simply making the bed can start a positive spiral. Super cheesy, but science has proved this to work. Write down the good things that happen to you each day. It's the easiest thing to do, but it's poison. It's good to push yourself and try and do things, but if it's something that's truly too much, knowing when to quit is important too. It doesn't have to be anything major, but sometimes when you're down you can get a little isolated. Try and talk to people. (Avoid people you know leave you feeling drained though). Even on days at home, keep your mind occupied with more than just social media- you don't want to be stewing in your own horrible thoughts all the time. Do something creative- guitar, blog, colouring, dye your hair. Even if it's only a small thing, this might make you feel way better. It's ok not to be ok, and there's so much less stigma these days around seeing a councillor so if you can, definitely consider it. Even if you think you're 'not ill enough'. Talk to your doctor or search online and see what services are in your area. Call a helpline if things are super rough. I love you all, look after yourself, ok? I am so spoiled by Osaka University, guys. We were able to go on a study trip to both Kabuki and the Takarazuka Revue for free! They were both so different, so I thought it would be interesting to compare the two. The Takurazuka Revue is an all female performing troupe- they have been performing since 1924 so while not exactly new, they are much more modern than Kabuki. The style is like a mixture of the pantomime and a west end musical, it was so fantastic! I'd definitely recommend it. The cheapest tickets were only a few thousand yen, although the front row tickets were obviously a lot more. For Takarazuka Revue, we went to see a performance called 'Shakespeare: The Sky filled with eternal words' which was a fictional story about Shakespeare's life, based on Romeo and Juliet. Everyone kept asking me what I thought of it, being British, hehe. I loved it so much, I think I was close to tears at one point. They even had Queen Elizabeth the first in it! The second half was a dazzling music and dancing revue, called 'Hot Eyes'. It was absolutely stunning. Read more about them on the Takarazuka Revue website. Of course I couldn't take any pictures of the actual performance, but here are a few pictures of the (super grand and intimidating) Takarazuka theatre. New Year in Japan is the biggest celebration of the year. Usually, Japanese people eat osechi ryouri and visit a shrine, the first shrine visit of the year is called 'Hatsumode' (初詣) Even though my Hatsumode was on the 3rd, and not on New Years' day, it was still super busy in Nara! 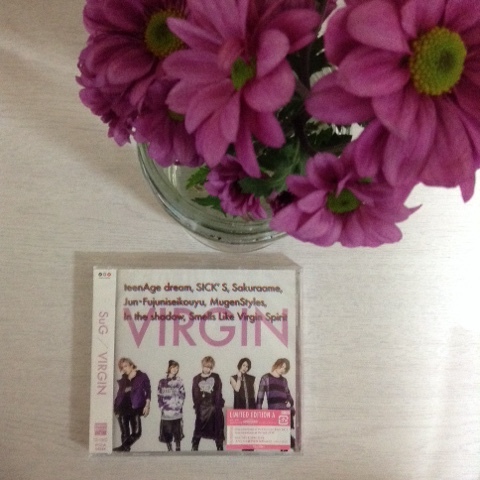 SuG's first major label mini album- "VIRGIN"
Guys, I finally bought it~ Actually, I say finally, I literally went to buy it on the first day it was sold (March 9th). I managed to buy the Limited edition type A, which includes the Akushukai ticket too! It cost 4500 yen, but CDs are expensive here in Japan. Also, SuG are my fave so there's that. Since I've been listening to basically just this for the last week, I thought I'd finally blog about it. The first two songs, TeenAge Dream and SICK'S, I'd already heard before, and it's a thumbs up from me. 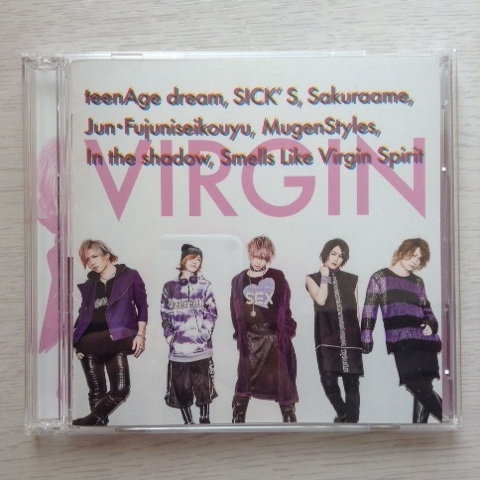 In fact, I wrote about SICK'S in my SuG hype post not so long ago. TeenAge dream is really dreamy though! 桜雨is more reflective, with a slower and quieter feel, which builds up. The melody in it is really nice and relaxing. It follows on really nicely from TeenAge dream. 純・不純異性交遊 is more nostalgic somehow. (I think it might be the bell sounds in it- makes me feel christmassy somehow). Weird christmas feelings aside, I love this song. this song definitely has style (get it? Ok, I'll see myself out). In the shadow is a little heavier, with some shouting and overdriven guitar, but the chorus melody is really nice. It's also really short, at only around 2 minutes. I love this song so I wish it was a teeny bit longer. SuG hype! I'm going to their 2016 tour!